Microsoft founder Bill Gates tops the Forbes World’s Billionaires list again with a net worth of $79.2B. Gates is followed by Mexican business telecom magnate Carlos Slim Helu who has a net worth amounting to $77.1B, trailed by American businessman Warren Buffet with a net worth of $72.7B. One of the most popular icons in the US’ commerce history is industrialist and automobile manufacturer, Henry Ford. As you already know, he is the founder of Ford Motor Company, which makes him one of the greatest movers in the history of transportation. Ford is known for introducing inexpensive cars that were affordable to the masses, as well as the use of assembly lines for production. Ford was born in a family that farmed for a living. He left home at age 16 to work as a machinist. When he was 28 years old, Ford was an engineer in Thomas Edison’s company where he experimented with engines that ran on gasoline. At age 36, Ford began to establish his first automobile company only to experience bankruptcy and issues with his business partners for his following businesses; until he was able to make a fortune with the Ford Motor Company along with his partners Alexander Malcomson and the Dodge brothers. In his lifetime, Ford is believed to have acquired a net worth of $199B. 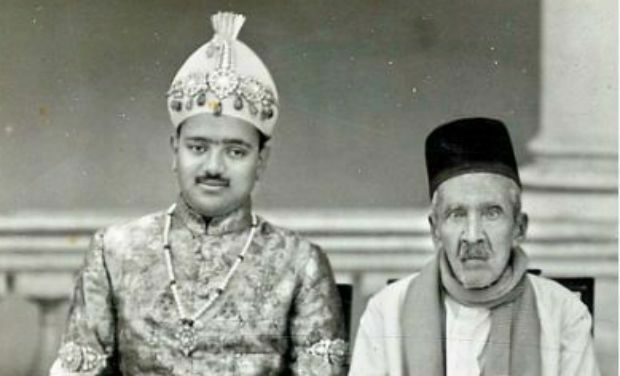 Pictured above (right) with one of his many sons (left), Mir Osman Ali Khan was known to be a stingy man, wearing the same fez cap for over three decades and even believed to eat on a tin plate. However, Khan lived in a palace which had 6,000 workers (38 of which had jobs to dust the chandeliers), had a treasury with gold, silver, and jewelries amounting to millions of dollars, as well as owning a diamond paperweight worth $200 million. When Khan died in 1967, he was reported to have left $230B in wealth, seven wives, 42 mistresses, and 149 children. Known as the richest man in American History, John D. Rockefeller is a philanthropist and a business magnate who founded the Standard Oil Company. Rockefeller was able to grow such wealth that he was able to spend the last four decades of his life in retirement where he donated most of his wealth to education and medical research and also founded the University of Chicago.